This entry was posted in Energy, Local, Miscellaneous, Politics on 28 March 2014 by Richard. Climate Change week ran from 3rd to 9th March. Looking back, what did it achieve? Well, it’s always hard to say. Here in Hereford we had our display in All Saints Church, film evenings, a public meeting, a march through Hereford and we lobbied our MP. How any of this changes peoples thinking and behavior, or political policies, is very hard to say. It’s a cumulative and subtle process. Sometimes one person in an audience of a hundred is inspired to make some changes which over time are really significant and yet those of us in the room on the night may never be aware of how this pattern of change has unfolded. I guess for me the best thing to come out of it is that our MP, Jesse Norman, has agreed to meet on a regular basis with a small group of us to see how we can make progress on this agenda. That feels positive to me. Several people have come up to me in the street and said they have seen the photo and articles in the local papers, or watched John Llewellyn Perkins YouTube video of the demo. It’s all part of that cumulative and subtle process of change. One of the key changes that we need is to improve the media coverage of climate change. Paul Nurse, President of the Royal Society, writing in the Telegraph has said “The debate isn’t whether global warming exists- it’s what to do about it.” Unfortunately much of our media still give credence to the barmy army of skeptics, which causes great confusion for many people, not least some of the journalists on our best selling newspapers. Vanessa Spedding, via 38 degrees, has an excellent petition to improve media coverage of the issue. This petition currently has 1,735 signatures. Please add yours now. This entry was posted in Climate Change, Local, Politics on 25 March 2014 by Richard. My work over several years has been to try and articulate my own vision of what this potential future might look like, and how we might overcome some of the immense challenges facing humanity. For about seven years, on a very on and off basis, I’ve tried to write a book, out of which developed this blog and a lot of one off talks and evening classes, and several other projects. I’ll next be speaking about this vision at the Hay Spring Fair on Saturday 12th April. I look forward to meeting some of you there: do come up and say hello and give me some face to face feedback on what you think about this blog. Annie Leonard has a new video and in just 9 minutes manages to convey the kinds of changes we all want to see in the world. Do watch it. It’s inspirational. 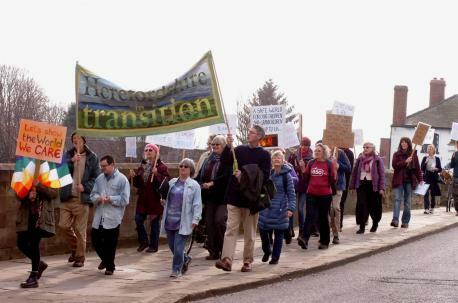 She hardly mentions the actual words ‘transition’ or ‘sustainability’, yet it is the best simple, quick and upbeat synopsis of the transition to a sustainable future that so many millions of us are working our socks off to help achieve! This entry was posted in Environmental, Miscellaneous on 21 March 2014 by Richard. Solar powered desalination is potentially one of those amazing disruptive technologies which could change human history for the better. It could secure water supplies for water stressed communities in the hot dry tropics, and open up desert areas for agriculture, energy generation and human settlement. It could be a real game changer. A number of exciting technologies exist, some old, some new, but none as yet deployed at scale. I’ve written about the Seawater Greenhouses developed by Charlie Paton, and adapted into the Saltwater Greenhouses that Philipp Saumweber and Sundrop Farms have built in Australia and Qatar. Sundrop Farms is planning a major expansion this year. Exciting stuff. Meanwhile in California another small start up company, WaterFX, has just opened the first of a new kind of solar desalination process and are putting it to a new use. I’d always thought about using solar desalination in the context of taking sea water and making it into fresh water, and therefore of use in coastal locations. 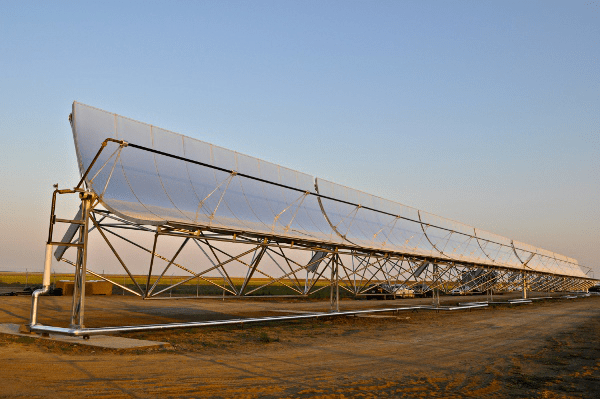 WaterFX is using their Aqua4 concentrated solar still at Panoche in California’s dry central valley to recycle polluted agricultural irrigation water. As well as producing fresh water they can extract a range of useful and saleable products from the polluted water, including salt, gypsum, magnesium sulphate, selenium and boron. Also in the news at the moment are a couple of interesting experimental scale concentrating solar power breakthroughs by the Paul Scherrer Institute. The first uses the sun’s energy to extract very pure zinc oxide from industrial waste. The second utilizes concentrating solar power to produce syngas (a hydrogen / carbon monoxide mix) from various waste materials, which could be used as an energy storage medium, or directly in industrial processes such as cement manufacture. 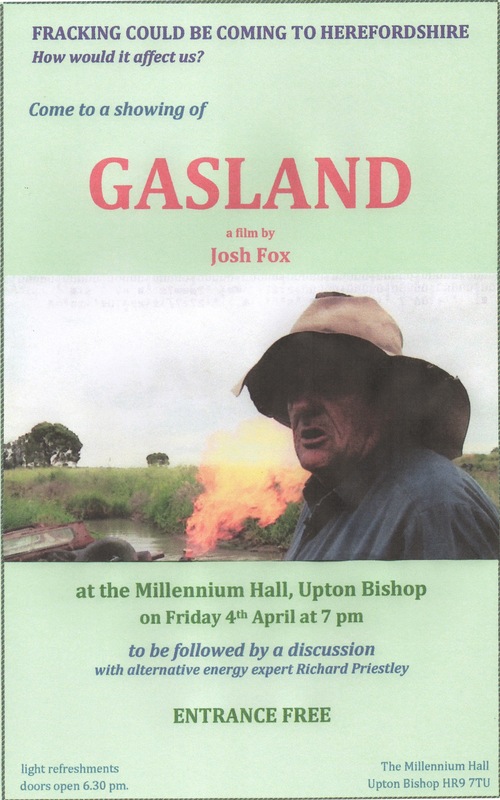 This entry was posted in Business Investment, Environmental, Food & Farming, Global on 10 March 2014 by Richard.